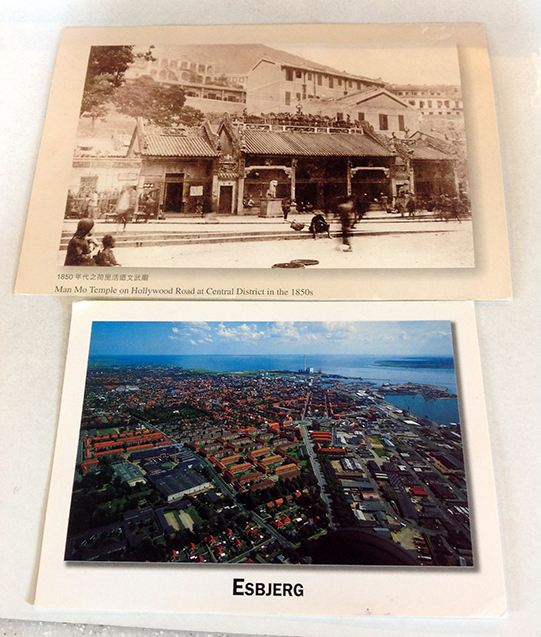 In September 2012, Jeanette (aka TBJean) in Denmark and Rosita (aka rositahtc) in Hong Kong did a direct swap, each sending one postcard to each other. But life goes on, and after receiving their nice cards, both girls slowly forgot about each other. One day when I was living in Hong Kong, I left home later than usual to go to school, and got on the mini bus. Three girls from my school got on the bus as well, and took the three seats around me, one next to me and two in front. The two girls in the front pushed the girl next to me to start a conversation. Her name was Rosita, and we shared our contacts on a piece of paper. It was so surreal that we decided to have breakfast together the next day before our school’s sports day! We still can’t believe what a huge coincidence it is, the fact that we met so randomly that morning on the mini bus! It is now more than 6 months later, and here we are, sitting in a restaurant, having a drink and deciding to share this story with our fellow postcrossers. We say that it was meant to be, but of course it is up to you whether you want to believe in that. Isn’t it a fantastic story? :D If you’ve also had an “happy accident” related to Postcrossing, we’d love to hear about it! 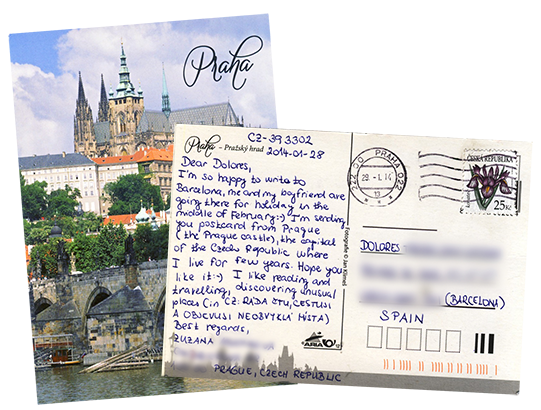 "This is the story of a postcard and two people… I’m Loli-ts (aka Dolores), living next to Barcelona, in Spain. On February 5, 2014 I received a beautiful view of Prague from azuzanka (aka Zuzana), from Prague in the Czech Republic. Postcards are magical windows. It’s always a pleasure to see a piece of the world, and to read the handwriting of someone that you have never met, saying warm words and inviting you to look through the window of her or his eyes. 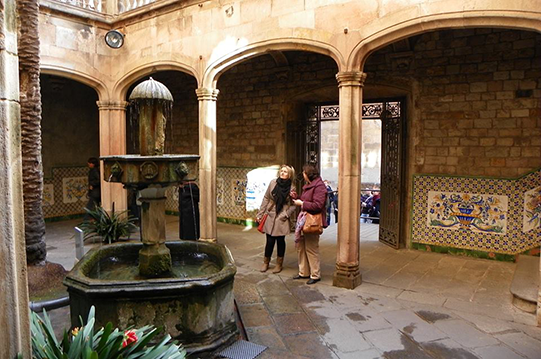 So, I was happy to read the message from Zuzana… yes, specially happy this time: she said she was coming to Barcelona just some days later! 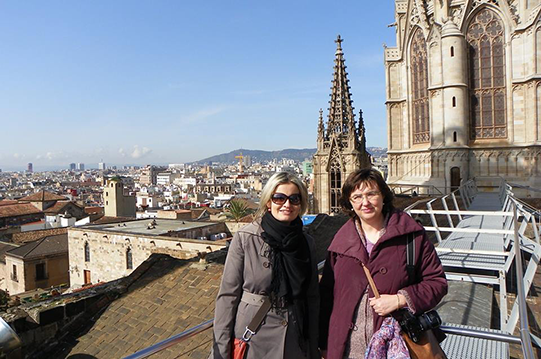 When I registered the card, I also invited Zuzana to ask for advice about their visit to Barcelona and, of course, to meet each other when she were here. And yes, we did! We made a nice walk from their hotel through the Old Town of my city, discovering the spirit of the district, some hidden spots and secrets of story… and specially, we discovered new friends. Postcards and Postcrossing where a main subject of our conversation. And of our photos too! Thanks to Postcrossing, Ana, Paulo and all the people who work to make possible this great project and so many wonderful experiences as this one was!" What about you? Do you have your own Postcrossing story? Do share, we’d love to hear it! Every time we receive one of your lovely friendship stories, we get a huge smile and can’t help but marvel at the power of simple postcards! On today’s post, Nathalie (aka TotosDawn) from the Netherlands tells us how postcards inspired her to travel – and meet her postcard-pals on the other side of the Atlantic! When I started sending postcards via Postcrossing I never thought that actual friendships could grow and that the people behind the postcards could mean the world to me! But it happened! On December 22nd 2010 I became a member of Postcrossing. I had heard a lot about the site, and got excited from the first minute I got my first address. I send out 5 postcards and waited behind my computer to see if they already arrived. Finally they started to arrive and I received my first card back!! The person sending this card is JulianChristopher. 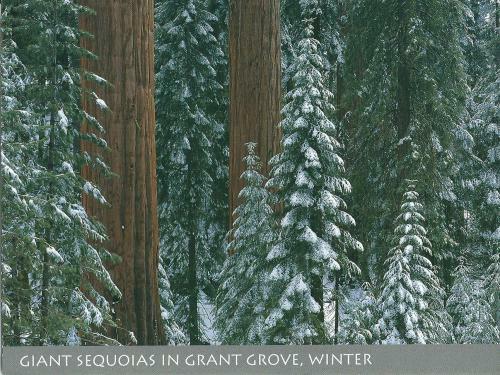 He sent me a beautiful card of the Sequoia National Park in California. I immediately fell in love with not only sending postcards, but also I wanted to go there because it looked amazing! Besides sending the official postcards I started to send more and more private swaps and adding postcards to my favorites. Many cards from Blkbird were (and still are!) in my favorite gallery. She send me a message to ask if we could do a private swap! Of course!! It was difficult for me to choose which one of the beautiful cards of my favorites I wanted… One day, a big surprise was waiting for me when I found the private swap in my mailbox: it was an envelope filled with all the cards I added to my favorites send by her! I was amazed to see how sweet someone completely strange to me could be! 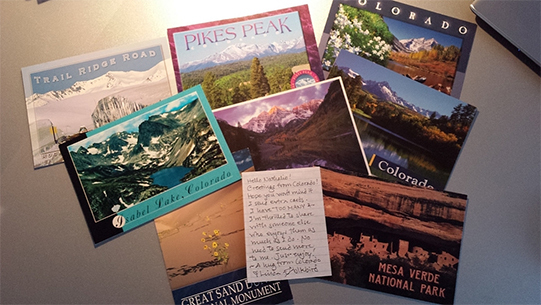 We started talking and I fell in love again with the beautiful landscapes on the postcards: Colorado! If before America had never crossed my mind as a holiday destination, now I was checking hotels, flight tickets, rental cars… My love for America only grew the more postcards I got, but it also became more specific. 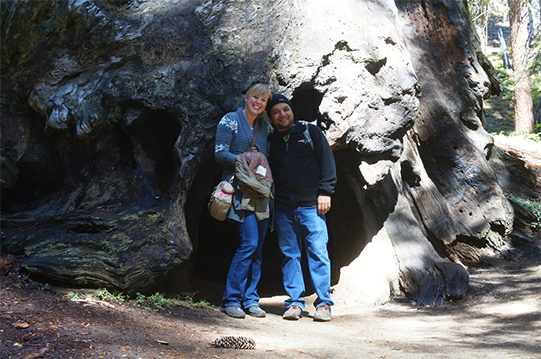 Sequoia National Park, the first card I got, was still in my head and I wanted to see more it. And who better to ask about it than the person who send me my first card? He was so sweet and sent me some more cards and then one thing led to another and we became 'postcard-pals’ and sometimes we spoke on Facebook. I didn’t forget about Colorado either, neither about Blkbird. We kept sending postcards and I fell in love more and more with America. So when my husband proposed, we didn’t need to think about a honeymoon destination: AMERICA! We planned a roadtrip, crossing all the places I saw on the postcards I loved. But one thing I really wanted to do to was to meet the people who were so sweet to me all this time and had become my friends. I wasn’t sure if they would like to meet me too, I mean, I’m a stranger from another country, who they only knew via Facebook and postcards. But both were really enthusiastic about my plans and we planned the meetings. First it was JulianChristopher's turn. 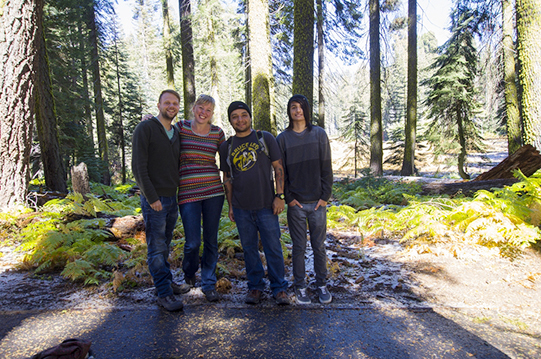 We planned to see each other in the Sequoia National Park, where else! From the first moment we met I felt so happy and blessed that I had the chance to meet him and his sweet son. I just couldn’t believe that it was real, that it wasn’t a dream. We spend hours hiking and chatting. He could tell us so much about Sequoia, America and so much more. How special to spend time together in the park he showed me for the first time on a postcard as a total stranger!! Time flies and when the moment of saying goodbye came closer I didn’t wanted to say goodbye and felt sad. But no tears when we said goodbye, only a big smile of gratefulness that I could experience this and actually meet the 'stranger-friend from America’. Meeting Blkbird was just as special as meeting JulianChristopher. Last minute we decided to have dinner the night before we had planned to spend together. We were waiting at the restaurant and she was a bit late, so I was nervous that she wouldn’t come or that she saw us waiting and thought: NO WAY! Nothing of that was true and when we met it was like meeting an old friend after years. No uncomfortable feelings, just chatting, eating, laughing. The restaurant was closing so we needed to go unfortunately but I was more then happy to know that we would meet again the next day. 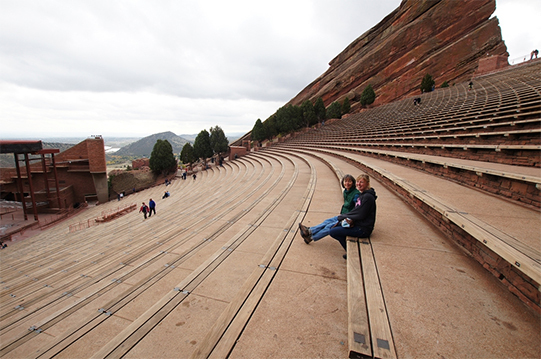 We planned to go to the Red Rocks Amphitheater in Denver and the Dushanbe teahouse in Boulder. We enjoyed her 'guided tour’ and company. It was unbelievable how much we had in common. She could have been my mother or sister or twin. She is so alike me that it almost is scary!! No surprise that we didn’t want to say goodbye, so we sat for hours in the car when we got 'kicked out’ of the teahouse. Just talking and enjoying the company. No wonder that when it was REALLY time to say goodbye we both cried. When we drove away, I felt so sad. JulianChristopher and Blkbird both have a special place in my heart. For them I would return to America without a doubt. When I’m writing this, tears are falling down my cheeks. Tears of sadness that I know that I won’t see them for a long time, tears of happiness, that I had the privilege to meet them. 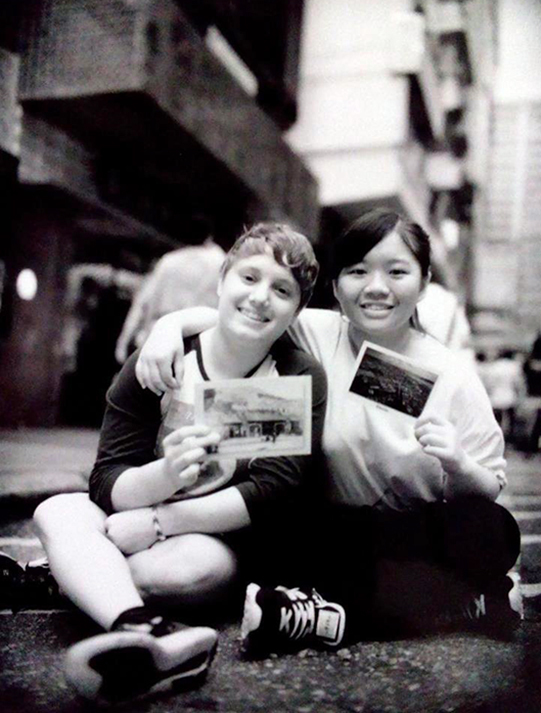 Who could have thought that sending postcards could actually lead to lifelong friendships! 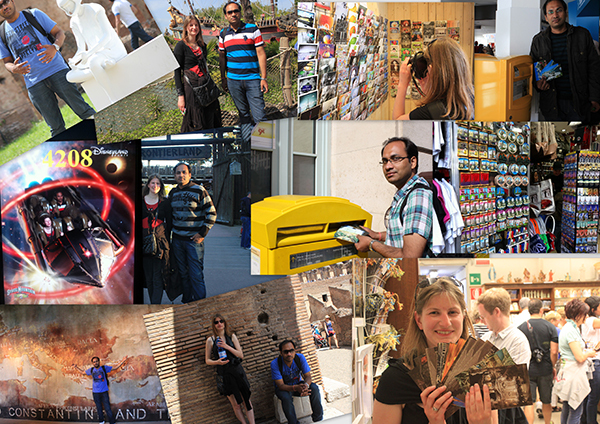 After Marichie & Annuc1s’ story, a few of you wrote back to us with amazing Postcrossing stories of your own. Today we let Telenn and Amit (who you might remember from his Spotlight interview) take central stage, to tell you the story of how a simple postcard sparked a wonderful transcontinental friendship! 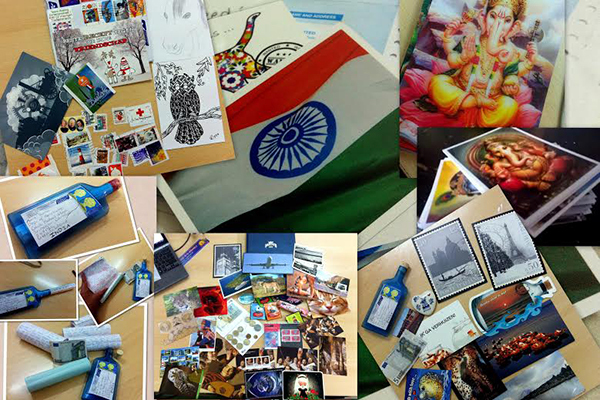 “It was in August 2012 that I got to send my first official postcard to India. The profile I got belonged to Amit (drakrana). It is the sort of profile you hope for every time clicking “get address”: positive, sunny, inviting, kind, lots of innocent wishes – so picking just the perfect card is not that difficult. 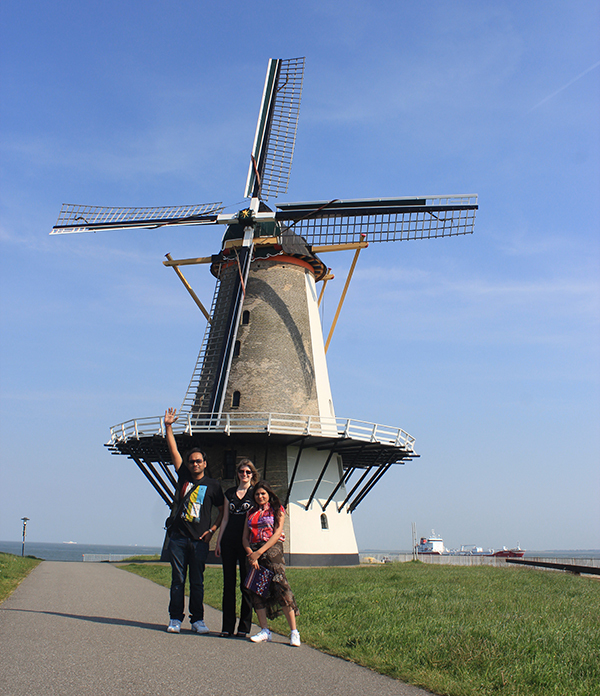 As we share the same passion for photography, I sent a self-clicked postcard, showing the windmill near where I was living. Amit registered my card with a wonderful message in which he described how amazing the card was and the words were full of friendly curiosity about another part of the world. I even gained an interest in India and its culture and I started a collection of not only postcards but also small statuettes, magnets, keychains and other items. 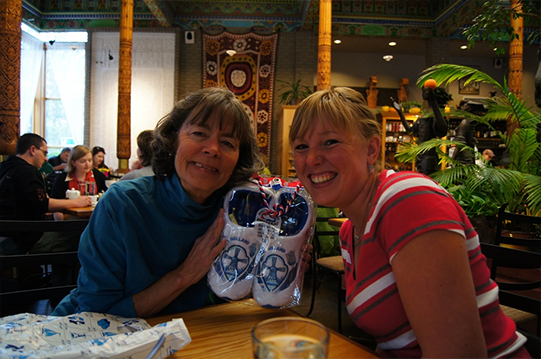 By then, even family, friends and colleagues became involved, receiving gifts from the other side of the world. I experienced quite a rough time the last few months of 2012 (I got a burnout and things only seemed to get worse at the time) and Amit, a doctor by profession, was always there to give life a positive twist, some cheering talk and telling me all will be well and how to cope up with mental stress in such a time. I’m not there yet but I picked up at least a little of that positive attitude and things are heading in the right direction now." “The friendship reached its next level when in June 2013 I planned a month long trip to Europe. I had never travelled out of India and was a bit reluctant before, but I was so much interested in Europe and its culture and with knowing Telenn, I had a basic idea that it wouldn’t be too difficult for me to acclimatise to a new place. I wanted to see it all by myself and not with a tour agent, I wanted to get a feel of life in Europe and not just be a tourist. 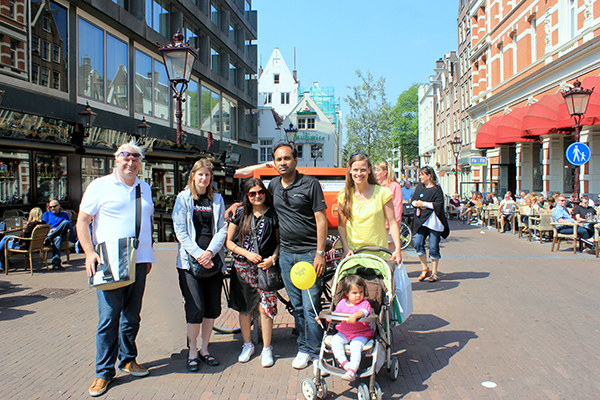 Telenn helped me plan this trip – France, The Netherlands, Belgium and Italy were all part of the itinerary and a small meetup with great Postcrossing friends of mine in Amsterdam was also included." “On June 1, Amit and I met for the first time near the majestic Eiffel Tower. 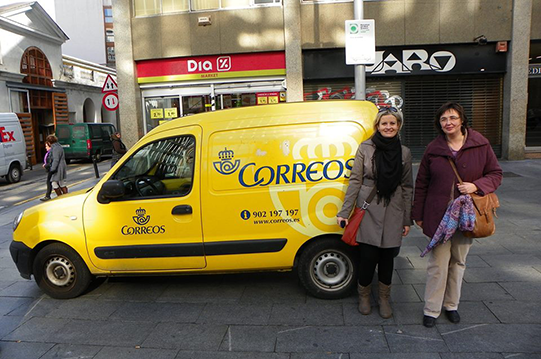 We were a bit apprehensive, as online and offline things are so different… but it was actually a very smooth transition! We were instantly good friends in real life too. We both were accompanied by friends who got along great as well, and everybody around us saw the true power of Postcrossing. And so we had a splendid time at Palais de Versailles, Sacré-Couer and Disneyland (Amit’ s childhood dream, where we finally dragged him into the scary gigantic roller-coasters…). The holiday home was soon a place of cards, stamps, pens and address books, sharing the adventures with our friends worldwide, who were in our minds all the time. "Next stop was The Netherlands. Telenn invited me over at her place and from there we toured the country, trying local specialities like warm stroopwafels at the market… and even India-flavoured ice-cream, why not! We drove around, getting to know the places I had previously seen in Telenn’s photographs. As Bruges is not far away, we wandered around through the beautiful UNESCO city center, visiting Choco Story (Chocolate museum), trying the Belgian chocolates, buying some more cards… and chocolate-tasting stamps of course! I was so interested and amazed to see Indians everywhere and people showing interest in Indian food in every city we went to. We had to try and taste! We also visited the Dutch fairytale theme park De Efteling and had a nice day in Amsterdam after that, meeting with the beautiful and friendly Sonja and her family from Germany. We had an amazing time together and more cards were written and smiles spread." 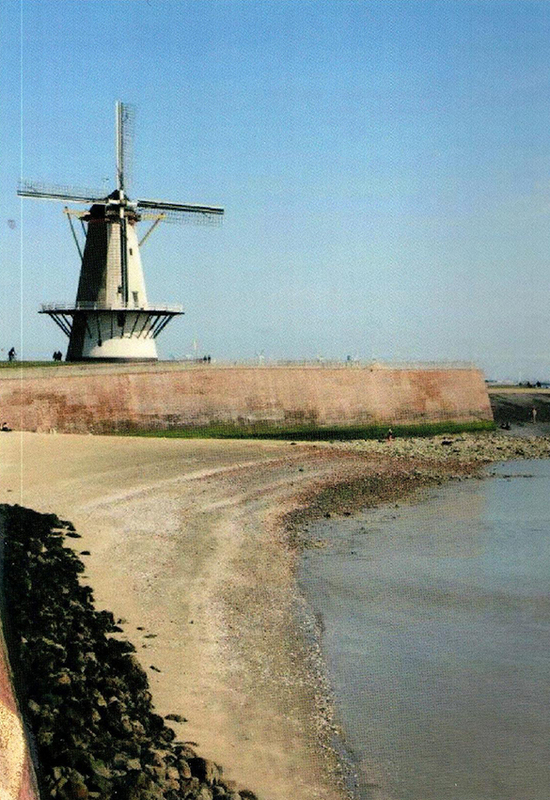 "The highlight of the stay in The Netherlands had to be the moment where we walked up the dike in Vlissingen, and the Oranje Molen – the one mill standing closest to the sea in The Netherlands loomed upon us. The mill that started our close friendship in form of a postcard! I saw the child in Amit when he reached there galloping ahead of us pointing to friends who came with him 'Hey that’s THE MILL! That’s THE MILL which managed to pull me to Europe!' Such moments can’t be described but lived. 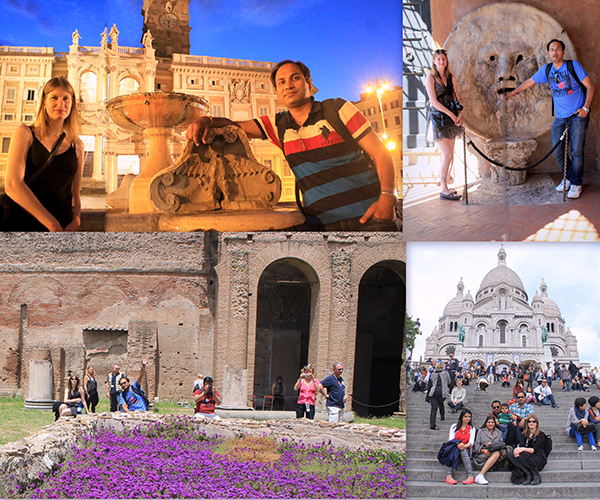 Rome was like walking in History in our life. 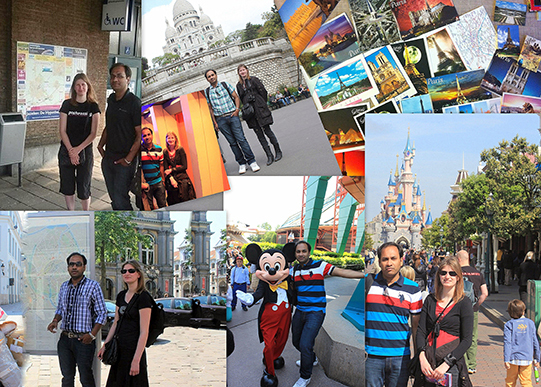 Amit absolutely loved it and I was proud of the cultural heritage of Europe. It was so hard to say good-bye in the end, after two weeks of seeing amazing places, buying and sending lots and lots of postcards, trying Indian food and local specialties, so many photographs and meeting friends and family of both sides and strengthening the special bond we all call friendship. As we get along so well, it was hard to say farewell. But all good times come with a break. We both hope more such fun trips will follow, visiting more common friends! I am already saving up… I’m heading to India and I am already looking forward to seeing Amit again and meeting other Indian Postcrossing friends." Sometimes, we still marvel at the power a tiny piece of paper has to connect people. From weddings to tales of adventure and unexpected friendships… the stories we hear are always awe-inspiring. 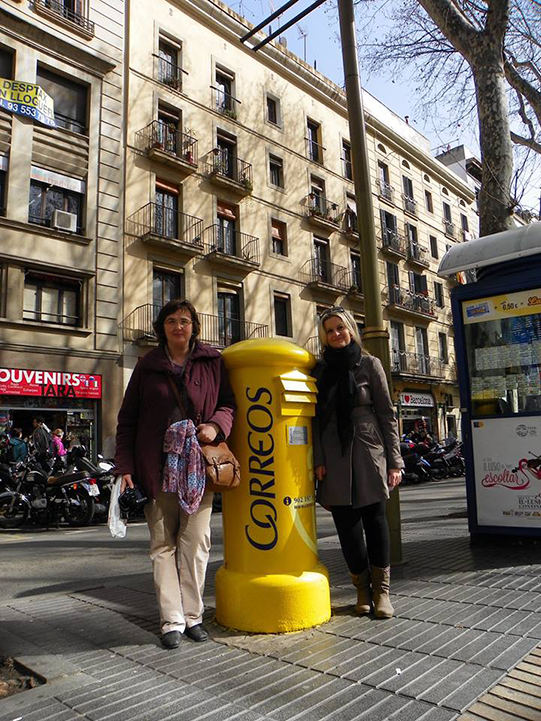 Today, Maybrit from Spain tells the story of how she and Anna from Ireland connected over postcards! On the 29th of June 2012 was the first time I sent annuc1s a private swap request. At the time, I was on holiday in Germany, bored in the little hotel room I was sharing with my family. It was raining and there was nothing to do, so I thought… “Wouldn’t it be cool to receive a card from the places where your favorite artists come from?” Immediately I started looking for different users, and that’s when I came across Anna’s profile for the first time. 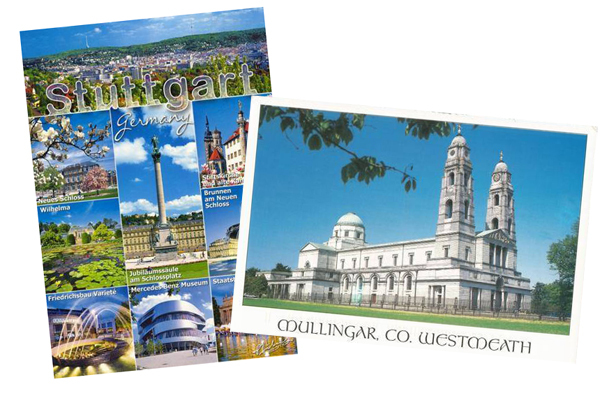 We agreed on a private swap, me sending her a card from Germany and her sending me a card from Mullingar, where she lives. Pretty soon, one card turned into two, which turned into four, eight… before long we were penpalling as well as chatting daily via Skype and Facebook. 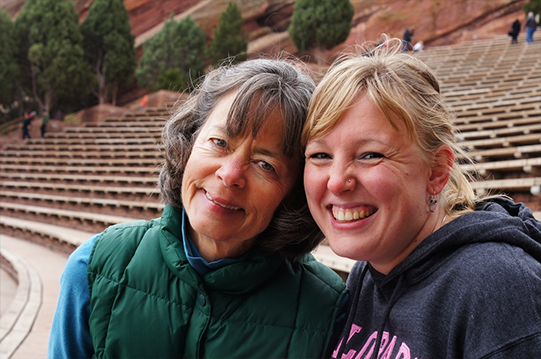 Our friendship had been formed… and it was only a matter of time until we decided we wanted to meet in real life. 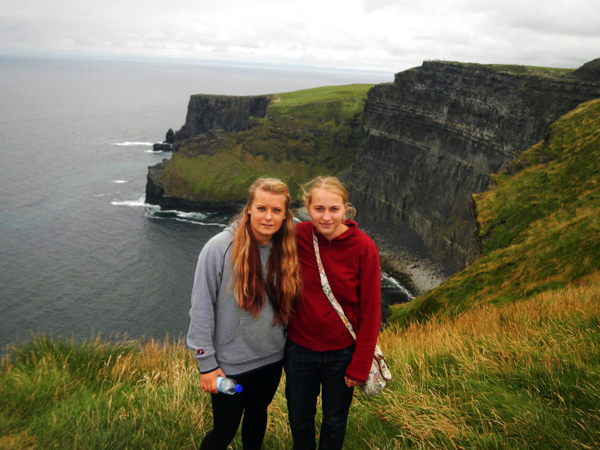 Our parents were very supportive of that idea and soon enough I found myself in Ireland for two weeks during my school holidays in August 2013. 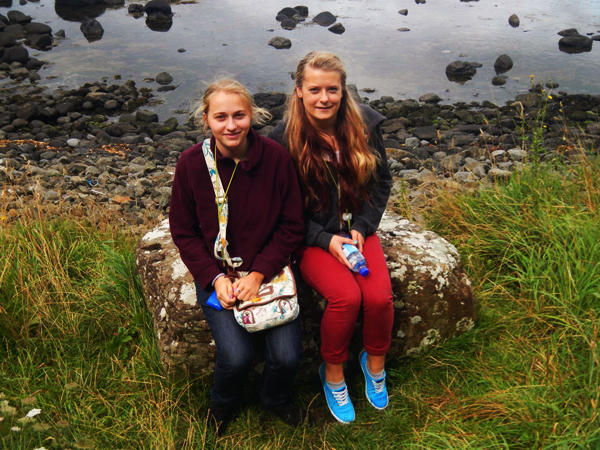 During my stay at her house we had lots of fun and she also showed me many places all over Ireland. Everywhere we went we bought cards! 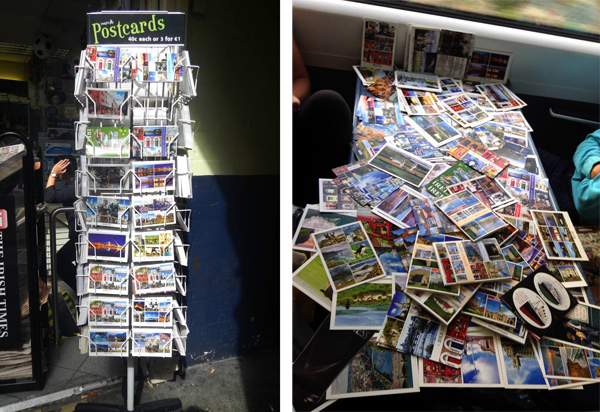 On our first trip to Dublin we scattered our postcards around the little table in the train, receiving many weird looks from other passengers. The pile grew bigger after trips to the Cliffs of Moher, Aillwee Cave and Galway (where we went to a very fun funfair). Together with her family we also went to Northern Ireland, visiting the Giant’s Causeway, Carrick-a-Rede Bridge and Belfast, where we decided to take a look at the Titanic Belfast Museum. Many stores, receipts and a lot of money spent later it was soon the end of my vacation and I had bought over 500 cards from more than 20 different places! Got a Postcrossing story? Do share in the comments, we’d love to hear it!